Breaking Defense offers this assessment of the upcoming Farnborough International Airshow in England this week: No Russians. Few Chinese. 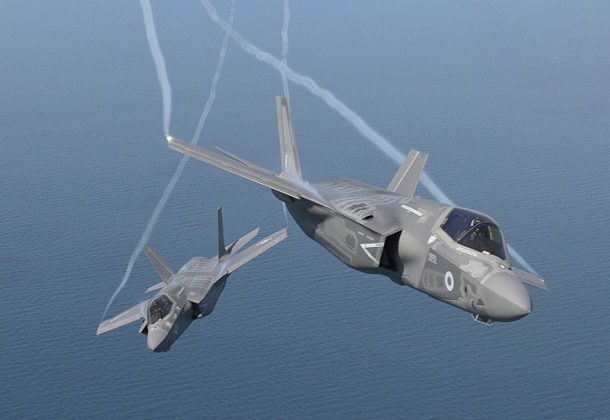 The F-35. Lots of senior American officials eager to boost bilateral sales of US weapons and civilian aircraft. Military.com reports President Donald Trump’s director of trade, industrial and export policy at the White House, Peter Navarro, will be leading the US delegation. President Trump’s talk of drawing down US forces and missions overseas comes as Congress is preparing another big increase in military end-strength next year, reports Military Times, plans that seemingly contradict themselves. Amid uncertainty over NATO member’s defense spending, energy deals with Russia and the future of NATO, combating Moscow’s campaign of digital war emerged as an item of agreement for the 29-state body during a summit in Brussels last week, reports Fifth Domain. Maryland officials were informed by the FBI on Thursday that a key vendor used by the state’s Board of Elections has ties to a Russian oligarch said to be close to President Vladimir Putin, reports Maryland Matters. The Frederick News Post reports Maryland’s Motor Vehicle Administration will conduct weekly audits to make sure voter registration changes made through the agency are sent correctly to the state elections board, after a computer programing error forced thousands of voters to use provisional ballots in the June 26 primary. Michael Griffin, DoD’s undersecretary for research and engineering, said the Pentagon’s Strategic Capabilities Office will have a new leader by the end of the month, reports Defense News, only he’s not saying who it will be. Mr. Griffin also says he is interviewing candidates to lead the Defense Innovation Unit Experimental, the Pentagon’s Silicon Valley outpost. Lockheed Martin is planning to double its Patriot missile’s production to deal with the increase in the orders of the weapon from the US Army and its allies, reports Defense News. Wes Bush, Northrup Grumman CEO, will step down, reports The Washington Post. He will be replaced by Kathy Warden, the company’s president and COO, effective Jan. 1, 2019. A Russian deputy defense minister says Russia has no plans to mass-produce the PAK/FA Sukhoi Su-57 fighter jet, the country’s first fifth-generation stealth fighter aircraft, reports The Diplomat. The new Army Futures Command will be in Austin, Texas, reports Defense News. The plan is to realign the service’s modernization priorities under a new organization that will implement teams that correspond with the Army’s top modernization efforts: Long-Range Precision Fires, Next-Generation Combat Vehicle, Future Vertical Lift, the network, air-and-missile defense, and soldier lethality. US military aircraft were used recently in two international, humanitarian search efforts, reports The Aviationist. A Navy P-8A joined a search near Sri Lanka for a missing fishing vessel July 8. And an Air Force B-52H crew searched for a missing indigenous Polynesian canoe that was lost for six days near Guam in late June. Naval Support Activity South Potomac and NAS Pax welcomed a new Judge Advocate General’s Corps officer to the area, reports South Potomac Pilot. Calvert county native Lt. Kaylan Kaatz was most recently stationed in Jacksonville, FL, and is happy to be back in the area where many members of her family live. Starting next year, service members who have been in the military for more than 16 years will no longer be able to transfer GI Bill benefits to their dependents, reports Military Times Reboot Camp, a change to current Pentagon policy that is getting mixed reviews from military advocates. The Defense Security Service is preparing to take over all background investigations for civilian and defense agencies and doesn’t want to inherit old and potentially broken processes, reports Nextgov. Mabey Inc., Elkridge, Maryland, was awarded a $9,196,535 firm-fixed-price contract for procurement and delivery of 80 meter and 320 meter Wet Gap Line of Communication Bridge systems. Bids were solicited via the Internet with two received. Work will be performed in Elkridge, Maryland, with an estimated completion date of July 12, 2019. Fiscal 2018 other procurement (Army) funds in the amount of $9,196,535 were obligated at the time of the award. US Army Contracting Command, Warren, Michigan, is the contracting activity (W56HZV-18-C-0128). Northrop Grumman Systems Corp. Linthicum Heights, Maryland, is awarded a $35,765,302 firm-fixed-price, cost-plus-fixed-fee supplemental agreement for software engineering support and engineering change proposal development required to support ongoing Ground/Air Task Oriented Radar Gallium Nitride efforts in support of Program Executive Office Land Systems, Quantico, Virginia. Work will be performed in Linthicum Heights, Maryland (65 percent); East Syracuse, New York (20 percent); Farmingdale, New York (14 percent); and New Brighton, Minnesota (1 percent), and is expected to be completed by April 22, 2021. Fiscal 2018 operations and maintenance (Marine Corps) funds in the amount of $662,807 will be obligated at the time of award and will expire at the end of the current fiscal year. This contract was not competitively procured, in accordance with 10 US Code 2304(c)(1)(B), with only one proposal solicited and one proposal received. The Marine Corps Systems Command, Quantico, Virginia, is the contracting activity (M67854-16-C-0211). CACI National Security Solutions Inc., Reston, Virginia, is awarded a $27,503,082 modification to a previously awarded indefinite-delivery/indefinite-quantity, cost-plus-fixed-fee performance based contract (N65236-16-D-8011) for Special Operations Communications Systems Satellite Communications and Network Support Services in support of US Special Operations Command and other joint warfighting commands. This modification increases the cumulative estimated value of the contract to $104,541,625. Work will be performed in Charleston, South Carolina, Tampa, Florida, and Fayetteville, North Carolina, and is expected to be completed by Sept. 14, 2020. This contract was previously procured competitively by full and open competition via the Space and Naval Warfare Systems Command e-commerce Central website and the Federal Business Opportunities website. Space and Naval Warfare Systems Center Atlantic, Charleston, South Carolina, is the contracting activity. The MIL Corp., Bowie, Maryland, is awarded a $25,681,476 cost-plus-fixed-fee, contract for engineering, management and technical information technology services in support of the Naval Air Warfare Center Aircraft Division Infrastructure Division’s Research, Development, Test and Evaluation Network Infrastructure, including system administration and information assurance. Work will be performed in Patuxent River, Maryland, and is expected to be completed in July 2019. Fiscal 2018 research, development, test and evaluation; fiscal 2018 aircraft procurement (Navy); and fiscal 2018 working capital fund (Navy) funds in the amount of $4,517,007 will be obligated at time of award, none of which will expire at the end of the current fiscal year. This contract was not competitively procured pursuant to 10 US Code 2304(c)(1). 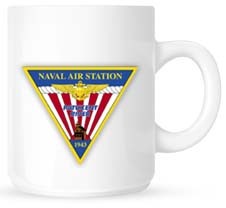 The Naval Air Warfare Center Aircraft Division, Patuxent River, Maryland, is the contracting activity (N00421-18-C-0026). Fluor Marine Propulsion LLC, Arlington, Virginia, is awarded a $1,223,529,973 cost-plus-fixed fee contract for naval nuclear propulsion work at the Naval Nuclear Laboratory. This contract includes options which, if exercised, would bring the cumulative estimated value of this contract to $13,072,285,773. Work will be performed in Pittsburgh, Pennsylvania (46 percent); Schenectady, New York (45 percent); and Idaho Falls, Idaho (9 percent). No funds are being obligated at time of award. No completion date or other additional information is provided on Naval Nuclear Propulsion Program contracts. This contract was competitively procured via the Federal Business Opportunities website and the US Department of Energy’s FedConnect, with two offers received. The Naval Sea Systems Command, Washington, District of Columbia, is the contracting activity (N00024-18-C-2130). C4 Planning Solutions LLC, Blythe, Georgia (N00039-15-D-0036); Cambridge International Systems Inc., Arlington, Virginia (N00039-15-D-0037); Envistacom LLC, Atlanta, Georgia (N00039-15-D-0038); Forward Slope Inc., San Diego, California (N00039-15-D-0039); and SOLUTE Consulting, San Diego, California (N00039-15-D-0040), are awarded a $163,384,632 modification to a previously awarded indefinite-delivery/indefinite-quantity, hybrid, cost-plus-fixed-fee, firm-fixed-price, cost-reimbursable-type, multiple award contract to exercise an option for command, control, communications, computers and intelligence systems integration and engineering services in support of authorized and approved US security assistance and security cooperation programs. This contract contains an option, which is now exercised, thereby bringing the reported contract face value to $395,452,690. This contract utilizes foreign military sales to various security cooperation partners to be identified as individual delivery orders are issued. Work will be performed in various overseas locations based on the requirement for each individual delivery order placed. Funding will not be placed on contract or obligated at the time of award of this modification. All funding will be placed as individual delivery orders are issued. There are no additional options at the basic contract level after this modification. This contract was competitively procured with small business proposals solicited via the Federal Business Opportunities website and the Space and Naval Warfare Systems Command e-Commerce Central website, with 22 offers received. The Space and Naval Warfare Systems Command, San Diego, California, is the contracting activity. ESA South Inc., Cantonment, Florida (W91278-18-D-0054); GBD JV, Aberdeen, Maryland (W91278-18-D-0055); Hernandez Consulting LLC, New Orleans, Louisiana (W91278-18-D-0056); Hamilton Pacific Chamberlain LLC, Waldorf, Maryland (W91278-18-D-0057); Patriot Construction LLC, Dunkirk, Maryland (W91278-18-D-0058); and Royce Construction Services LLC, Reston, Virginia (W91278-18-D-0059), will compete for each order of the $49,000,000 firm-fixed-price contract for medical facility repair and minor construction. Bids were solicited via the Internet with six received. Work locations and funding will be determined with each order, with an estimated completion date of July 9, 2023. US Army Corps of Engineers, Mobile, Alabama, is the contracting activity. Leidos Inc., Reston, Virginia, was awarded a $27,000,000 firm-fixed-price contract for hazardous, toxic, radioactive, waste and military munitions remediation. Bids were solicited via the Internet with 14 received. Work locations and funding will be determined with each order, with an estimated completion date of July 10, 2023. US Army Corps of Engineers, Baltimore, Maryland, is the contracting activity (W912DR-18-D-0003).